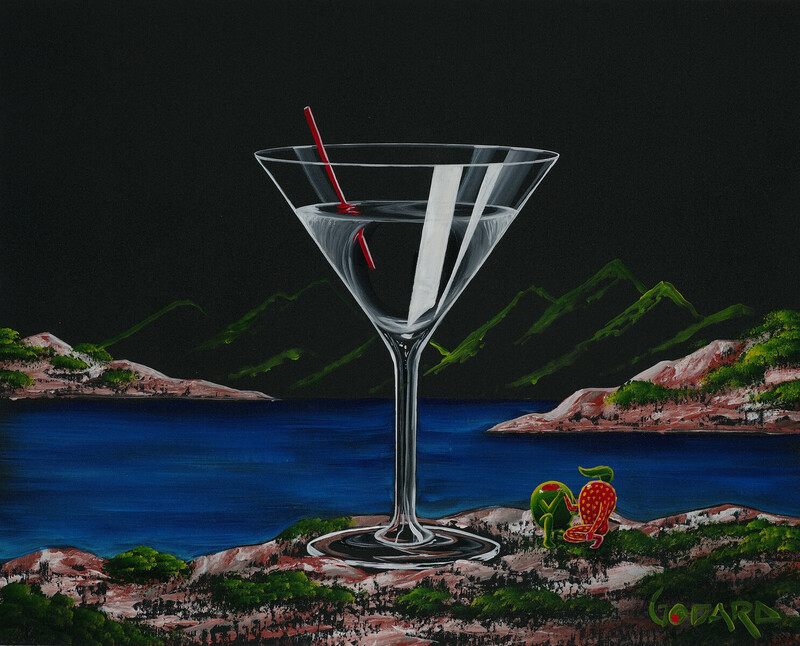 Martini olives are the main subjects for many of Godard’s most famous paintings. 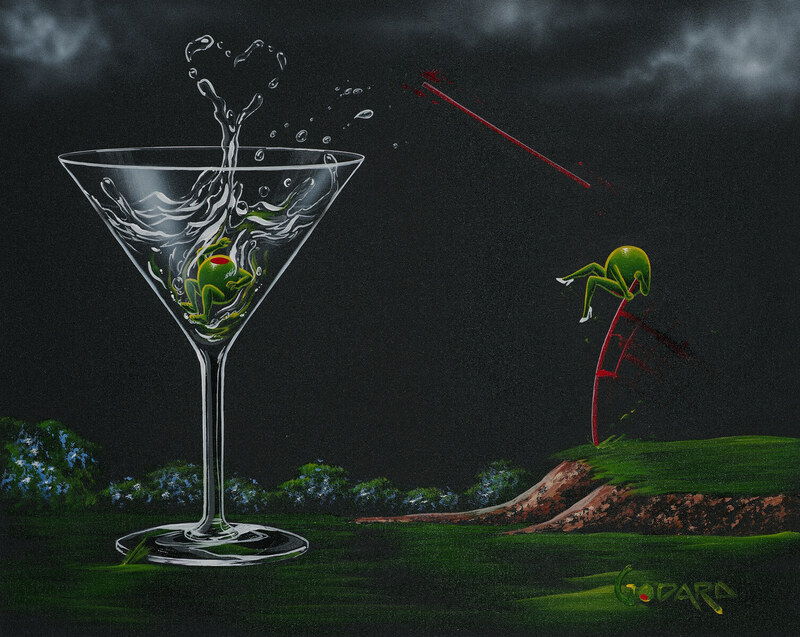 Often seen golfing, drinking, or even painting, his olives playfully mimic human behavior, so it’s only natural that, eventually, they’d fall in love. Godard’s olive couples appear very much in love as they kiss, cuddle, and adore each other. But it’s not as easy as it might appear to craft a relatable love story between two inanimate actors. While Godard’s first fascination was animating olives, he has expanded his collection to include personified grapes to appeal to wine enthusiasts. 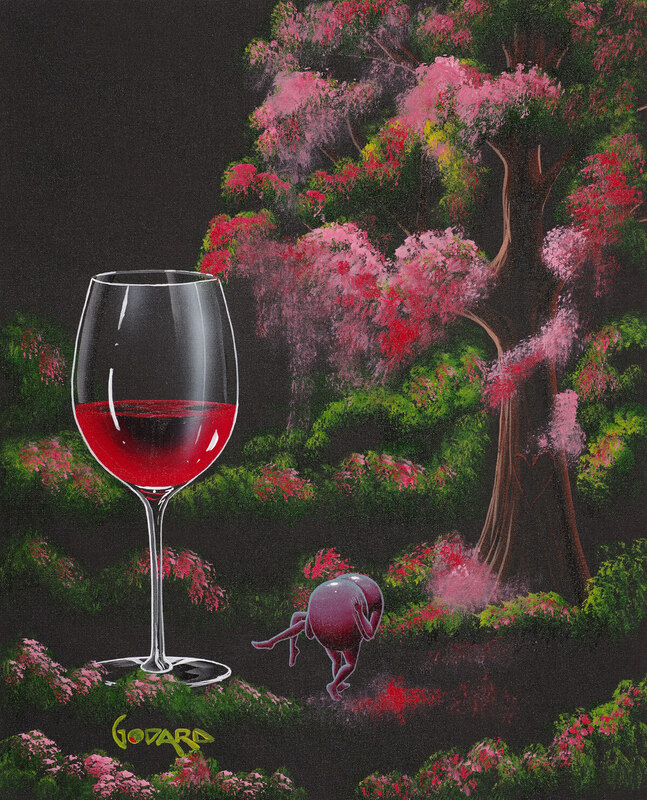 In “Our Love Tree,” one grape is shown carrying the other beside a tall glass of red wine. Although not an avid drinker himself, Godard says he uses alcohol to connect people with memories in their own lives. “[Alcohol] is something that we share socially. It’s the drink that calms the nerves on a first date, it’s the glasses of wine we share together with good friends,” Godard says. 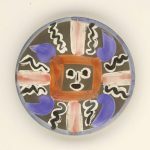 Godard understands his particular aesthetic is not everyone’s cup of tea—or, glass of wine— but, he encourages people to draw their own conclusions about his paintings. “I don’t think anything has any meaning, you have to give it meaning. That’s what I think paintings do,” Godard says. Godard says many couples are drawn to his paintings because they see themselves in the characters. Whether it’s a shared memory or an indescribable likeness, Godard says his artwork often serves as a mirror. 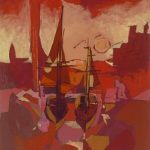 As an artist with Park West Gallery, Godard is always ecstatic to meet his collectors face-to-face during cruises and other special events. 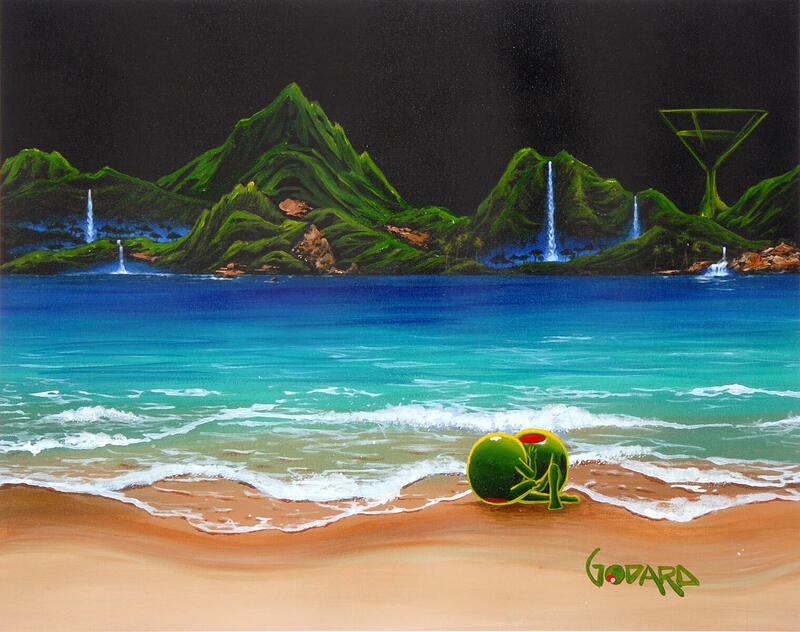 Interested in collecting the art of Michael Godard? Contact our gallery consultants at (800) 521-9654 ext. 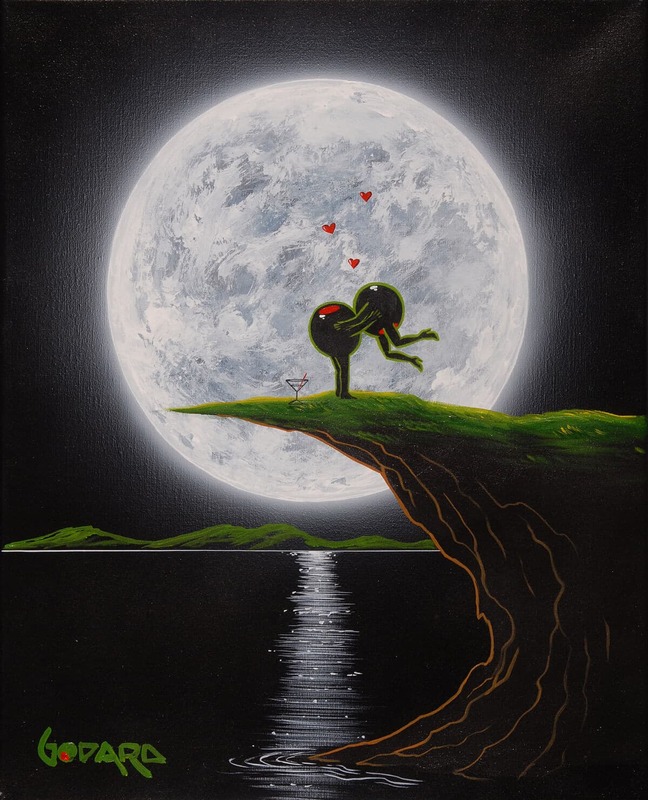 4 during business hours or sales@parkwestgallery.com for more information. Want more insight into the creative mind of Michael Godard? Then check out the first episode of our new podcast series “Behind the Artist” featuring an in-depth interview with the artist.